If you’ve decided the right vehicle for you is a fun and active subcompact SUV, the Fiat 500X is the one that can be the right choice for your drive. This vehicle is listed with a variety of lease offers to ensure you can have the ride you want when you head out on the roads and trails around Sunrise, FL. This SUV is not only a great place to have the ride you want, it’s also comfortable for you to head out and enjoy the ride. Where can you find the right Fiat 500X lease offers for you to choose from near Sunrise, FL? 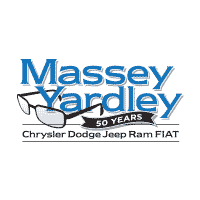 The place you want to visit to find what you’re looking for is Massey Yardley Chrysler Dodge Jeep Ram Fiat in Plantation, FL. This is where you’re going to find a variety of amazing models that can be right for you to have the drive you’re looking for. You’ll be convinced by what you find when you step inside this small SUV that can be the right model for you to have the ride you want out on the road. Starting at the base model, the Pop trim, you’ll have the benefits of air conditioning, power windows, a four-speaker audio system, and a USB port. This model can be had with the Popular Equipment Package that adds a rearview camera, an Uconnect 5.0 touchscreen infotainment system, Bluetooth connectivity, and much more. Check out the variety of Fiat 500X lease offers for this base model so that you can enjoy the ride on the roads in Sunrise, FL. Check out this Pop trim and let it be where you start with the drive you’re looking for in the Fiat 500X that you drive every day. Move up to the Trek model and you’ll have some amazing features that make things much easier for you to enjoy the ride. These qualities include illuminated vanity mirrors, a premium steering wheel, a six-speaker audio system, and the Uconnect 5.0 touchscreen infotainment system. You can also enjoy keyless entry, and upgrade to the Lounge model that includes a 6.5-inch touchscreen Uconnect system with navigation, heated seats, a heated steering wheel, an eight-speaker audio system, and more for the drive. Choose the Fiat 500X lease offers for one of these two trim levels and you’ll have more for the drive around Sunrise, FL. It’s time for you to have the driving experience you’ve been searching for and the Fiat 500X can be the vehicle that makes that possible for you. Come in and take a look at the lease offers you’ll find at Massey Yardley Chrysler Dodge Jeep Ram Fiat in Plantation, FL and you can have the ride quality and features you’ve been searching for. This can be the right choice for you to have the drive you want on the roads around Sunrise, FL and all you have to do is visit this dealership to find what you’re looking for.